With rates from $65,000 per person, Silversea’s 2021 World Cruise spans 150 days and visits 34 countries across six continents. The post Booking Open For Silversea’s 2021 World Cruise appeared first on Avid Cruiser. The general sale of Silversea’s Expedition World Cruise 2021 is now open. Unlocking a selection of travel experiences in 107 destinations, the Expedition World Cruise 2021- or the Uncharted World Tour - has been curated to take guests closer to the authentic beauty of the world in ultimate comfort. The post Booking Opens For Silversea’s 2021 Expedition World Cruise appeared first on Avid Cruiser. For 14 select voyages in 2019 and 2020, solo travelers will enjoy zero supplement fares on new bookings that are paid in full by February 28, 2019. The post Silversea Announces Savings For Solo Travelers appeared first on Avid Cruiser. Silversea Cruises will host two World Cruises in 2021, including the world’s first ever Expedition World Cruise. The post Silversea Announces 2021 Expedition World Cruise appeared first on Avid Cruiser. 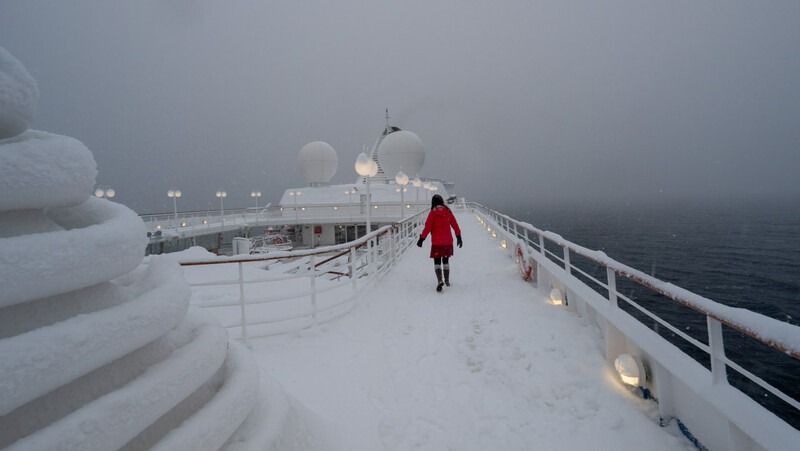 A recap of my November 2018 voyage to Antarctica on Silver Cloud, and a look back at two other voyages, on Silver Explorer in 2013 and on Seabourn Quest in 2015. 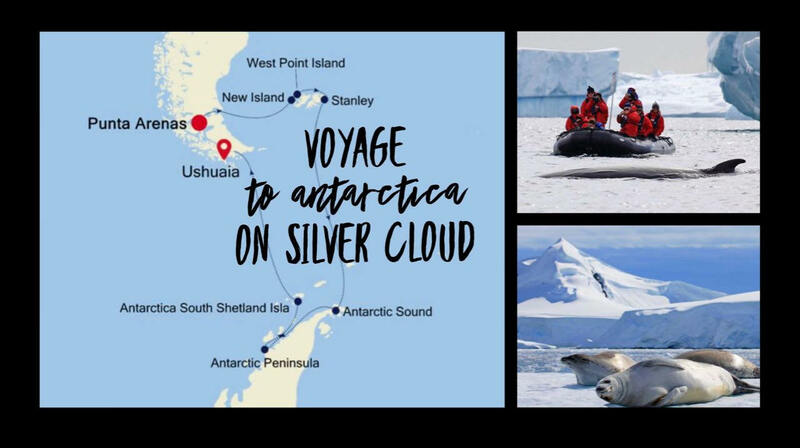 The post Recap Of Our Antarctic Voyage On Silver Cloud appeared first on Avid Cruiser. After departing Yankee Harbor, we crossed the Drake Passage back to Ushuaia. What was the ride like? And how did our trip end? Read on. 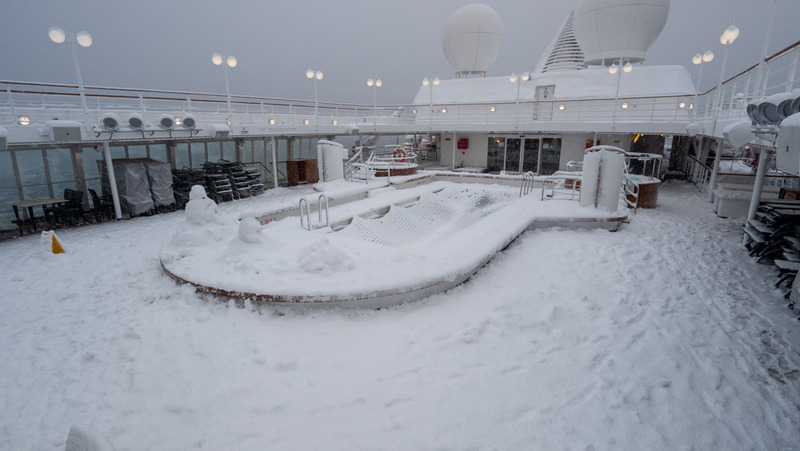 The post An Antarctic Voyage On Silversea: Cheese Plate, Our Antarctic Voyage Comes To An End appeared first on Avid Cruiser. When I last left you, we were enjoying a gorgeous day on Silver Cloud, anchored off Cuverville Island. Remember? We were sitting on our balcony admiring the view, sipping a glass of Sauvignon Blanc. Little did we know then that the weather would soon change. Well, it did. In a big way. The post An Antarctic Voyage On Silversea: Dessert, Antarctica & Points Further North appeared first on Avid Cruiser. Our next stop on our Antarctic voyage is Cuverville Island, but before stepping ashore on Cuverville's snowy banks, we'll embark on a Zodiac tour through fields of sparkling ice. 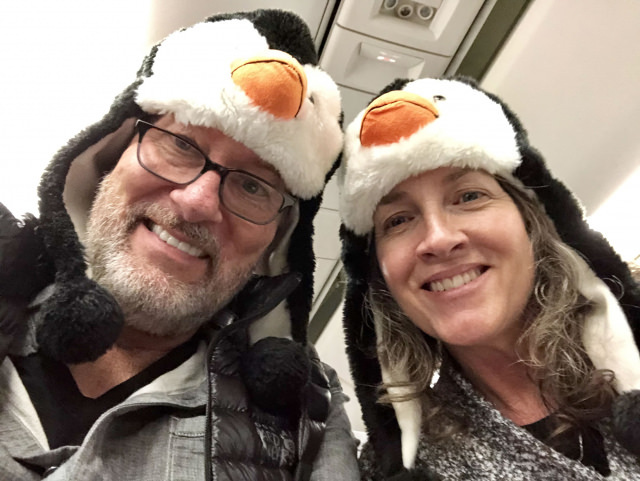 The post An Antarctic Voyage On Silversea: Part Six, The Main Course Continued, Antarctica appeared first on Avid Cruiser. 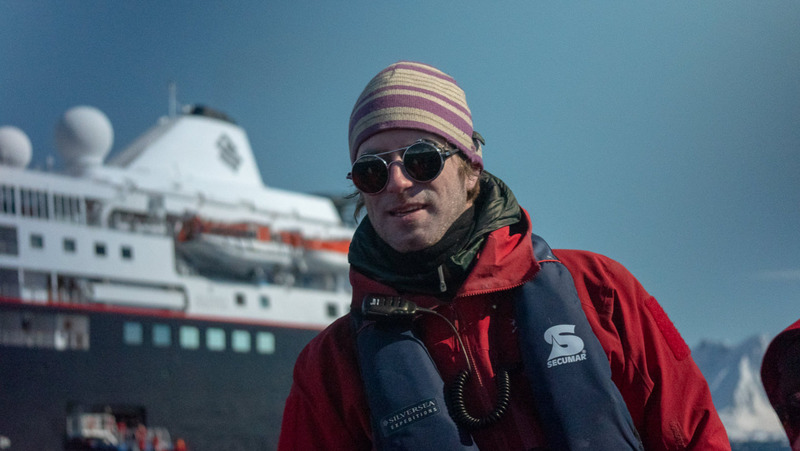 After crossing the Drake Passage, we see the first signs of Antarctica and soon thereafter do what we all have been looking forward to doing: We step ashore to experience the majestic beauty of the White Continent. The post An Antarctic Voyage On Silversea: Part Five, The Main Course, Antarctica appeared first on Avid Cruiser. The Drake has a nastier reputation than it deserves. Don't let the prospect of crossing it stop you. And if you're lucky, as I have been three of my six crossings, you experience Drake’s Lake instead of Drake’s Shake. Here's what our crossing of the Drake was like. The post An Antarctic Voyage On Silversea: Part Four, Intermezzo, The Drake Passage appeared first on Avid Cruiser. 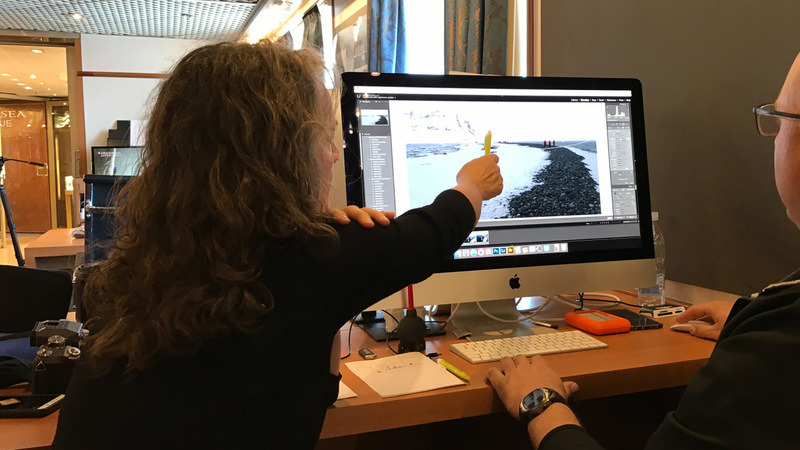 Silversea is going into its next decade of expeditions and takes this opportunity to highlight its 2019 and 2020 Arctic and Antartic Voyages. The post Silversea Details Arctic And Antarctic Sailings For 2019 And 2020 appeared first on Avid Cruiser. We continue our Antarctic voyage on Silver Cloud. This post will take us across the South Atlantic Ocean to the Falkland Islands, a segment of the voyage that I have designated as "the appetizer." 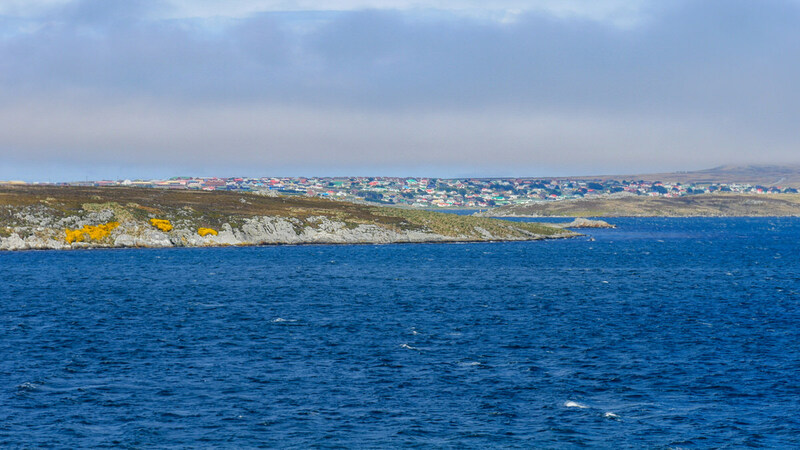 The post An Antarctic Voyage On Silversea: Part Three, The Appetizer, A Crossing To The Falklands appeared first on Avid Cruiser. Our Antarctic voyage on Silversea begins in Santiago, followed by a flight the next day to Punta Arenas to board Silver Cloud. 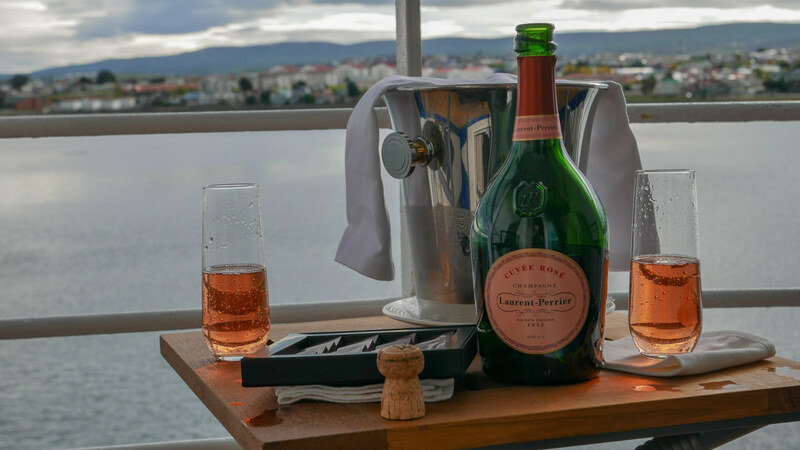 The post An Antarctic Voyage On Silversea: South America & Points Further South, Part Two, The Aperitif appeared first on Avid Cruiser. Through several posts and dozens of photos during the next few days, I will take you along on a journey to Antarctica aboard Silversea Cruises. 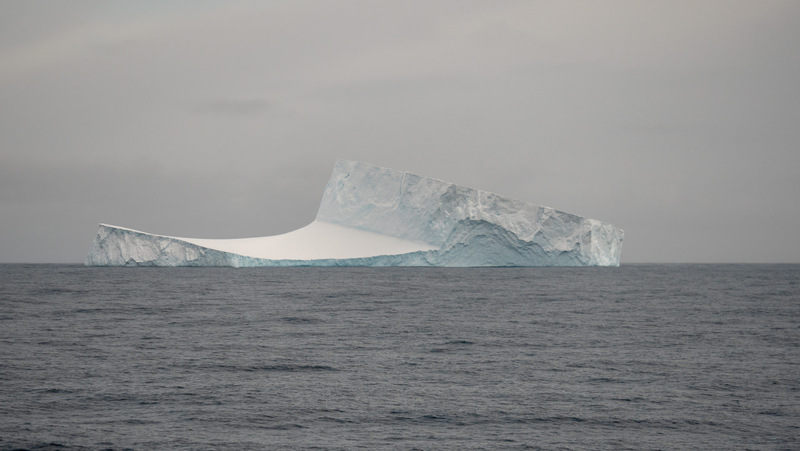 The post An Antarctic Voyage: On Silversea, A Veritable Feast appeared first on Avid Cruiser. This week, I am cruising to Antarctica on Silver Cloud. Follow me here on Avid Cruiser to learn more about Silversea’s “newest” expedition vessel and about what for many is the trip of a lifetime. We set sail today (Sunday, November 11) at 6 p.m. I hope you'll join me. The post A Cruise Like No Other, Antarctica On Silver Cloud appeared first on Avid Cruiser. Silversea has launched a new collection of voyages to Cuba departing from the US, enabling guests of all nationalities to discover the destination. The post Silversea Unveils Cuba Voyage Program appeared first on Avid Cruiser. On November 11, we'll embark Silver Cloud for an 11-day voyage to the Falkland Islands & Antarctica. The weather forecast? Well, as the Christmas carol goes, "Oh the weather outside is frightful." The post Voyage Preview: Antarctica On Silver Cloud appeared first on Avid Cruiser. Silversea signed a memorandum of understanding with German shipbuilder Meyer Werft and Dutch shipbuilder Shipyard De Hoop to build three new ships. The post Silversea Orders Three New Ships appeared first on Avid Cruiser. Silversea's new collection of voyages for Summer 2020 and Winter 2021 will take guests to 572 destinations in 84 countries across seven continents. The post Silversea Announces Summer 2020 and Winter 2021 Itineraries appeared first on Avid Cruiser. Silversea released details about its 2020 World Cruise aboard Silver Whisper, which will visit 62-ports and 7-continents from Ft. Lauderdale to Amsterdam. The post Silversea Unveils Details Of 2020 7-Continent World Cruise appeared first on Avid Cruiser. Silversea Expeditions recently celebrated 10 years in luxury expedition cruises. They will continue their legacy in 2019 by taking guests closer to the authentic beauty of the Far East with destinations ranging from the Russian Far East to Indonesia. “Each of Silversea’s itineraries in the Far East is designed to take guests closer to the... [Read More] The post Silversea Highlights Far East Itineraries appeared first on Avid Cruiser. Every major wine region in the world is represented on board, as well as every major wine grape, yet Italian wines are particularly well-represented as an homage to the cruise line’s heritage. The post Silversea Adds Wine Itineraries For 2018 and 2019 appeared first on Avid Cruiser. Travelers can now take advantage of five percent savings, in addition to a one-category suite upgrade plus a $1,000 onboard credit. The post Silversea Offers Savings for 2018 Sailings appeared first on Avid Cruiser. 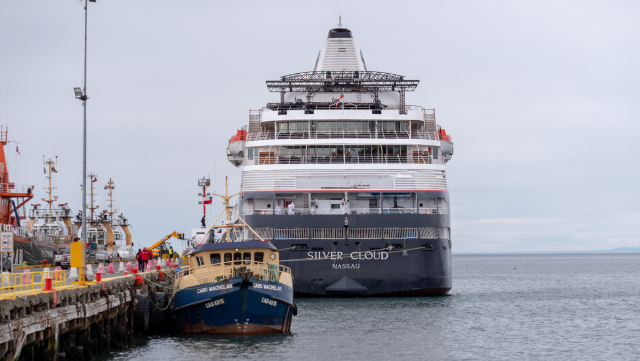 Silversea Expeditions is celebrating its 10th anniversary with the introduction of its first crossing of the Northeast Passage The post Silversea Will Cross Northeast Passage In 2019 appeared first on Avid Cruiser. After an extensive dry dock renovation and lengthening, Silversea has released the first photos of Silver Spirit since her refit. The post Silversea Releases Photos Of Silver Spirit After Renovation appeared first on Avid Cruiser. Royal Caribbean Cruises is acquiring a 66.7 percent stake in Silversea Cruises. What will the acquisition mean for each company? Read on. The post Royal Caribbean & Silversea Join Forces appeared first on Avid Cruiser. Silversea is offering savings on voyages to Asia in 2018 and 2019 with an All-Inclusive Package promotion now available on new bookings. The post Silversea Offers All-Inclusive Packages For Asia Itineraries appeared first on Avid Cruiser. Since opening the bookings last month for World Cruise 2020, titled “Legends of Cruising,” Silversea has seen a marked increase in early bookings when compared to the launch of previous Silversea World Cruises in the last five years. With a record response rate from both existing Silversea guests and first-time cruisers, World Cruise 2020 has... [Read More] The post Silversea’s Early Bookings Increase for 2020 World Cruise appeared first on Avid Cruiser. Silversea Cruises has awarded Fincantieri with an order for another cruise ship, with delivery scheduled for Q4 2021. The contract is valued at over €320 million. Named Silver Dawn, the new vessel will be a sistership of Silversea’s flagship, Silver Muse, which was launched from the Fincantieri shipyard of Sestri Ponente (Genoa) in April 2017.... [Read More] The post Silversea Announces New Ship, Silver Dawn appeared first on Avid Cruiser. Silversea invites guests on a new collection of land programs in nine destinations around the world, named the Signature Land Programs, which will start in September 2018. The Signature Land Programs will be led by Silversea’s experience leaders and will complement select voyages in: Iceland – September 29, 2018 – On this four-night land program, Silversea guests... [Read More] The post Silversea Offers Nine New Experiences for Guests appeared first on Avid Cruiser. This summer Silversea will visit the Galápagos aboard Silversea’s Silver Galapagos expedition ship. Travelers who book by May 31, 2018, can take advantage of free roundtrip economy air from select U.S. and Canadian gateways for travel to Ecuador on voyages departing between July 7 and December 15, 2018. 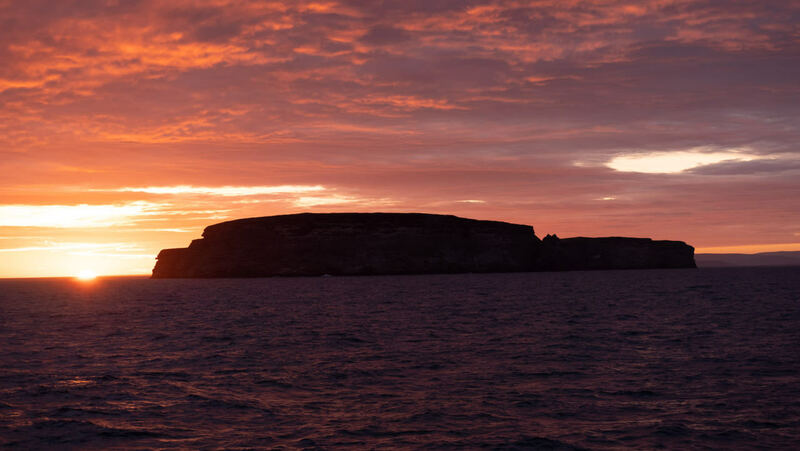 Additionally, on Galápagos sailings departing in the... [Read More] The post Silversea Offers Savings for 2018 Galápagos Expeditions appeared first on Avid Cruiser. Silversea has unveiled its classic fleet’s winter 2019/2020 itineraries, which comprise 89 voyages to Australasia, Asia, South America, the Caribbean and more. 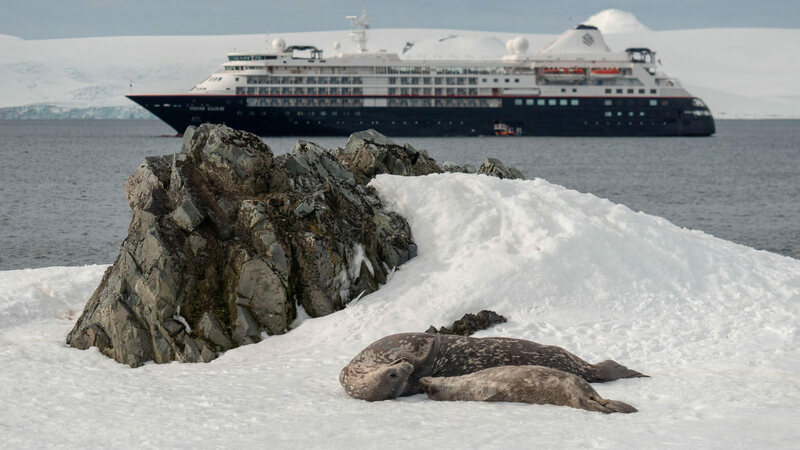 Building on Silversea’s previously announced expedition itineraries for the same period, the new itineraries bring the total number of visited destinations to approximately 900 for 2019/2020. The winter 2019/2020 itineraries include a full... [Read More] The post Silversea Unveils 2019 and 2020 Itineraries appeared first on Avid Cruiser. Silversea unveils details of the cruise line’s Venetian Society voyage in October 2018. An opportunity for Silversea’s valued Venetian Society to unite, the annual Venetian Society cruise enables guests to make new friends while enjoying bespoke experiences in ultimate comfort. The voyage is designed to benefit Silversea’s returning guests, while introducing first-time guests to the... [Read More] The post Silversea Will Host the Annual Venetian Society Cruise Aboard Silver Whisper appeared first on Avid Cruiser. Launching a range of expedition voyages in 2008, Silversea has continuously redefined notions of travel with its pioneering itineraries, the quality of its expedition team, and its fleet of ships. In the past decade, many milestones have been reached by Silversea, establishing the cruise line as a leader in the field of expedition. Each destination... [Read More] The post Silversea Celebrates 10 Years of Expedition Cruising appeared first on Avid Cruiser. Starting with voyages sailing in April 2018, Silversea will offer free unlimited Wi-Fi to every guest throughout its fleet. Since January 2016, guests have enjoyed at least one hour of free Wi-Fi per day. The new policy will provide each guest booked in standard suites with free unlimited standard internet access. Guests staying in larger... [Read More] The post Silversea Will Offer Free Wifi to Every Guest Onboard appeared first on Avid Cruiser. Ahead of her World Cruise 2019, Silver Whisper will undergo extensive renovation in 2018. Between December 8 and December 19, Silver Whisper will be in dry dock in Freeport in the Bahamas, as improvements are made to increase the level of guest satisfaction. 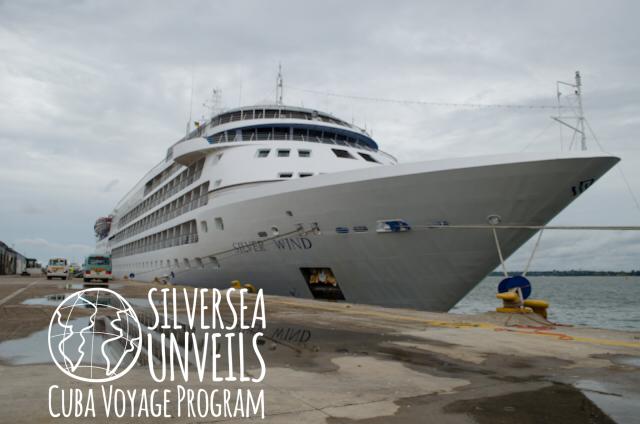 The exciting announcement follows the opening of sales for Silversea’s World Cruise... [Read More] The post Silver Whisper Will Undergo Refurbishment Before Silversea’s 2019 World Cruise appeared first on Avid Cruiser. Silversea’s Silver Spirit has been cut in two at Fincantieri Shipyard in Palermo as part of her planned lengthening. A prebuilt 49-foot segment has been inserted and the ship is now being reconnected. With the aim of amplifying guests’ onboard experience, the lengthening project will create more space in public areas and will enhance Silver... [Read More] The post Silver Spirit Lengthened at Fincantieri Shipyard in Palermo appeared first on Avid Cruiser. Silversea announces the opening of general sales for its pioneering 140-day, 62-port, 32-country World Cruise in 2020. Departing Fort Lauderdale on January 6, 2020, Silver Whisper will be the first ship to visit all seven continents on a world cruise. The World Cruise 2020 will include long stays and overnights in many of the world’s... [Read More] The post Silversea’s Silver Whisper Will Host the Line’s 2020 World Cruise appeared first on Avid Cruiser. This weekend, Silversea Cruises’ Silver Spirit goes under the knife. I will be there to witness the event and to report it back to you. At a shipyard in Palermo, on the sunny side of Sicily, Silver Spirit will be sliced in two, and a pre-built 49-foot-long midsection will be inserted to stretch the ship.... [Read More] The post Silver Spirit To Go Under The Knife appeared first on Avid Cruiser. Silversea, an innovator in the ultra-luxury cruise line industry, is proud to reveal the identities of three new Tale Tellers for the company’s World Cruise 2019. Steve McCurry, Alain de Botton, and Sophy Roberts will each embark Silver Whisper for a segment of Silversea’s 52-port voyage, joining Paul Theroux, Pico Iyer and four other Tale... [Read More] The post Silversea Announces Three New Guests for 2019 World Cruise appeared first on Avid Cruiser. Silversea is serving up a new menu of 2018 and 2019 Enriched Voyages featuring enhanced onboard enrichment with a culinary or wine theme, including five sailings developed in partnership with The Peninsula Hotels. “Our culinary and wine Enriched Voyages are a wonderful way to blend together fascinating destinations with a generous serving of cooking events... [Read More] The post Silversea Announces Wine and Culinary Voyages for 2018 & 2019 appeared first on Avid Cruiser. 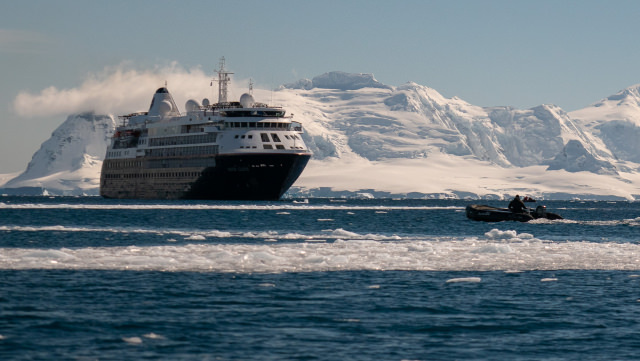 Last week, I sailed from Buenos Aires aboard Silversea’s fully-refitted Silver Cloud Expedition on what was to be her first voyage to Antarctica as part of Silversea’s luxury Silversea Expeditions brand of adventure cruises. 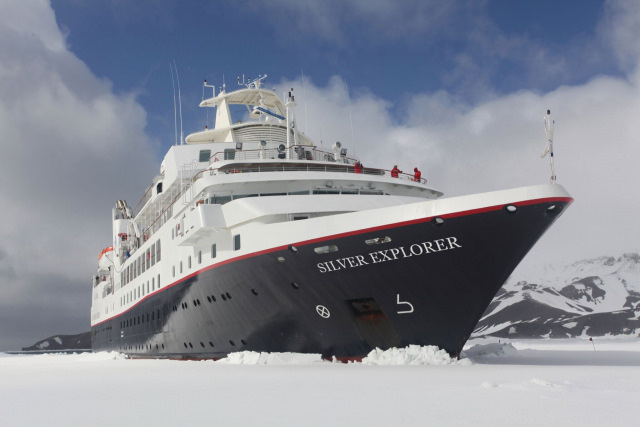 Her recent two-month conversion into a proper, ice-strengthened luxury expedition ship marks a major milestone for the Silver Cloud, which debuted... [Read More] The post First Look: Silver Cloud Expedition appeared first on Avid Cruiser. To take the chill off the coming winter, Silversea Cruises has launched a limited-time offer of free shore excursions on sailings to the Caribbean. On select 2018 voyages of the all-suite, butler-serviced Silver Wind and Silver Muse, guests may enrich their Caribbean cruise experience with a free shore excursion in every port of call. Whether it’s exploring Antigua’s historic... [Read More] The post Silversea Offers Free Shore Excursions on Caribbean Cruises appeared first on Avid Cruiser. In less than a month’s time, Silversea’s completely-refurbished Silver Cloud Expedition will set sail from Buenos Aires, Argentina on her first-ever expedition voyage to Antarctica. Her conversion from a luxury cruise ship into a luxury, ice-strengthened expedition ships is the most expensive and technologically-advanced refits in the history of Silversea. While her conversion is still... [Read More] The post What to Expect with Silver Cloud Expedition appeared first on Avid Cruiser. Silversea Cruises is introducing a new 2018 Couture Collection, an exclusive series of custom-designed ocean and land adventures. The inaugural 2018 Couture Collection is an inspired portfolio of nine pre- and post-cruise land programs of five to 11 days, offering authentic and immersive travel experiences in the most remote and untouched regions of the Earth. “Our... [Read More] The post Silversea Introduces New Couture Collection for 2018 appeared first on Avid Cruiser. When she entered service this past spring, ultra-luxury line Silversea’s brand-new Silver Muse raised the bar. She ushered in an entirely new design concept for Silversea, became their biggest ever newbuild overnight, and introduced new dining options and rethought bars, lounges and public areas. After half a year in service, Silver Muse has received a... [Read More] The post Silver Muse & Silver Moon: The New Evolution of Silversea appeared first on Avid Cruiser. Silversea Cruises has unveiled an inspired collection of 160 voyages for summer 2019, which can now be reserved. 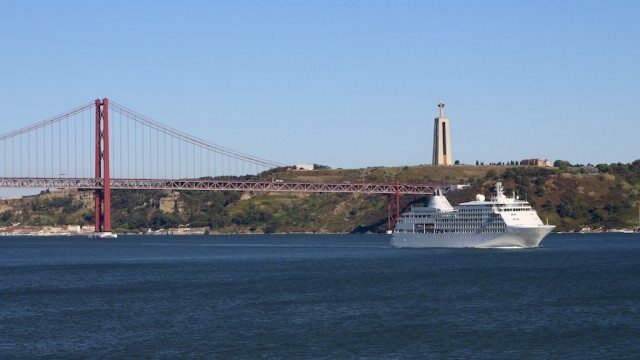 The 2019 Summer Collection, a rich diversity of itineraries visiting over 400 destinations in 64 countries, spans the globe from the Mediterranean, Northern Europe, Alaska and Canada to the Arctic, South Pacific, Galápagos Islands, and Australia’s Kimberley... [Read More] The post Silversea Opens 2019 Itineraries for Booking appeared first on Avid Cruiser. Silversea has unveiled plans for its first-ever ship lengthening. The turn-key transformation of Silver Spirit will take place early next year at the Palermo shipyard of Fincantieri. Starting in early March, Silver Spirit will be lengthened by inserting a prebuilt 49-foot-long midsection housing six Silver Suites, 26 Veranda Suites and two Panorama Suites. Technical upgrades will also be implemented.... [Read More] The post Silversea Unveils Lengthening Plans for Silver Spirit appeared first on Avid Cruiser. Ultra-luxury travel innovator Silversea has announced plans for Silver Wind and Silver Whisper to undergo a concrete refurbishment program in some areas of the two ships. The transformation of these two ships will be accomplished in December. The project is part of the elegant fleet-wide refurbishment program launched at the end of 2016 that will continue with new announcements to come soon. The... [Read More] The post Silver Wind and Silver Whisper to Undergo Renovations appeared first on Avid Cruiser. Silversea Cruises and Fincantieri have announced the signing of a contract worth approximately 310 million euros for the construction of a new ultra-luxury cruise ship. The ship is due to join the Silversea fleet in 2020. The new ship, tentatively named “Silver Moon,” will be the sister ship of “Silver Muse,” which was delivered in... [Read More] The post Silversea Announces Plans for New Ship, Silver Moon appeared first on Avid Cruiser. Silversea Cruises and photographer Steve McCurry announced a global creative partnership that will chronicle Silversea’s extensive fleet and portfolio expansion. McCurry, one of the foremost photographers of his generation, is best known for his haunting portrait of a green-eyed Afghan refugee girl in National Geographic. A master of visual storytelling, McCurry has traveled the world... [Read More] The post Silversea Announces Partnership with Photographer Steve McCurry appeared first on Avid Cruiser. Silversea’s new Silver Muse will sail roundtrip from Fort Lauderdale on January 3, 2018 on a 69-day Grand Voyage to some of the most remarkable and culturally enriching places in the Southern Hemisphere. This journey will completely circumnavigate South America, visiting 34 ports in 14 countries. Designed for travelers who can spare the time and prefer a more immersive... [Read More] The post Silversea Announces Details of 2018 Grand Voyage appeared first on Avid Cruiser. In 2018 Silver Explorer will debut a unique collection of voyages through the Americas, tracing a path north from Ushuaia, the city at the end of the world, all the way up the Pacific coastline to the multiculturally vibrant hub of Vancouver. Each of the seven new expedition voyages will offer opportunities for discovery and adventure... [Read More] The post Silver Explorer Ventures to the Pacific appeared first on Avid Cruiser. Opera and ballet fans, food and wine connoisseurs, bridge players, wellness enthusiasts and lifelong learners will appreciate indulging their passions with Silversea’s exciting onboard enrichment program in 2017. “We are delighted to feature such an inspiring collection of renowned artists, experts and guest speakers on our voyages,” said Barbara Muckermann, Silversea’s chief marketing officer. “Our... [Read More] The post Silversea Announces 2017 Enrichment Programs appeared first on Avid Cruiser. The concept of a luxury expedition cruise used to be a thing of fantasy. Expedition cruises, historically, were serious voyages operated aboard serious ships. Ex-research vessels, former icebreakers and the like were pressed into service because of their technical abilities, particularly in the world’s polar regions, where rough weather and ever-shifting ice were a constant... [Read More] The post A Decade On, Silversea’s Luxury Expedition Cruises Continue To Expand appeared first on Avid Cruiser. Join us on a journey to one of the world&apos;s most spectacular regions. In 1987, while negotiating the release of hostages in Beirut, Terry Waite was taken hostage himself and held in captivity for 1,763 days. As one of the many distinguished guest lecturerers on Silversea Cruises, Waite reveals how he survived solitary confinement for nearly five years. Watching our ship depart Lisbon after a 9-day cruise. My daughter Britton and I had signed up for a half-day half-day sightseeing excursion to the UNESCO World Heritage Site Saint-Emilion. If you appreciate wine, you may know of Saint-Emilion’s celebrated vineyards and its delicious wines. In fact, the vineyards reach all the way up to Saint-Emilion’s ancient town walls. Silversea Cruises had democratized butlering. Everyone who cruises on the luxury line can enjoy the services of their butlers. There’s no class division here. No matter what category you’re booked in, you’ll have a butler waiting on you. My daughter Britton and I awoke early for our 8:30 a.m., eight-hour tour to experience Hemingway&apos;s Pamplona on a so-called Silver Shore Collection excursion from Saint-Jean-de-Luz, France, where Silver Whisper was anchored. Ernest Hemingway first visited Pamplona in July 1923 during the San Fermin Festival. The city&apos;s atmosphere and the Running of the Bulls made such an impression on Hemingway that he chose the fiesta as the backdrop for his first successful novel, The Sun Also Rises. Today, Silver Whisper called on Gijon, in northern Spain. We took Silversea&apos;s free shuttle service between the ship and city center, about 20 minutes. On larger ships, I&apos;ve had to pay for shuttle service, as much as 8 euros per person (about US$10). We were impressed by the city itself, but we were blown away by the tradition of cider pouring. My understanding is that you only buy cider by the bottle in so-called siderias, or cider houses. That&apos;s when the show begins. The bartender uncorks the bottle, lifts it above his head and pours the cider into a glass below his waist, both arms fully extended. Missing the glass: remarkably little. This morning, Silver Whisper docked at the Port of Bilbao, about 20 minutes from the city center of Bilbao and its famed Guggenheim Museum. Here are the highlights from our day. We&apos;ve been on a port-intensive cruise since departing Southampton last week on Silver Whisper. Each day, we&apos;ve enjoyed some memorable tours, with only one sea day to rest, and that was on the first full day of the cruise. So when Silver Whisper docked in the city center of A Coruña on Thursday, we chose a tour that allowed us to sleep in and get a good overview of the city. Founded in 1851, the Mission Estate Winery in Napier is New Zealand&apos;s oldest and the birthplace of New Zealand wines. Our half-day excursion included a tour, wine tasting and gourmet lunch. This half-day excursion began pierside in Dunedin, New Zealand, past some of the country&apos;s best scenery. It was raining when Silver Shadow cruised New Zealand&apos;s stunning Milford Sound, but the rain created an extraordinary spectacle, waterfalls. In Sydney, Silver Shadow was docked in the best possible position, at the Overseas Passenger Terminal at Circular Quay. There&apos;s not a better place in Sydney to board a ship — and definitely no better place to overnight. “Tourists have been coming back to Egypt since early March,” our tour guide told Silver Spirit guests as we began the “Splendors of Luxor” tour from Safaga. “We appreciate you and those of you who are coming back. We really need visitors to return.”Our fist stop: The Temple of Dandara, a well-preserved temple complex, about two hours from Safaga, Egypt, where Silver Spirit is docked. Building began by Ptolemy XII and was dedicated to the goddess Hathor, commonly depicted as a cow goddess with headdress of horns and a sun disk. 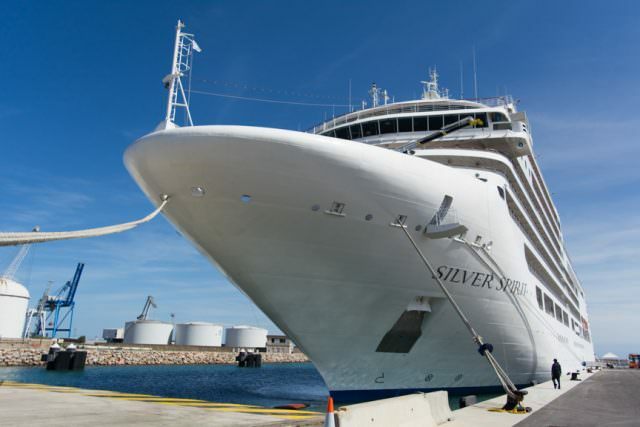 The 13.5-hour shore excursion was provided free of charge for Silversea passengers. An expert on intelligence and espionage, Nigel West packs the room when he lectures on Silversea Cruises. What's he saying that intrigues us so much? Watch our interview with West. On a beautiful morning in the ;Mediterranean, Silver Spirit is making her way toward Sorrento and the enchanted island of Capri. Exceptionally beautiful and peaceful from a distance, Capri can be extremely crowded and chaotic up close. To beat the crowds and make the most of your day in Capri, choose an exclusive tour. "If we have a line of 1,000 people, the passengers of Silversea will not wait a minute," says Monica Greico, a guide for Silversea Cruises. As if you weren't already pampered enough on Silver Spirit, welcome to The Spa at Silversea. The largest spa in Silversea's fleet, the spa on Silver Spirit is an extremely attractive addition to Silversea's newest vessel. ; The Spa at Silversea is a sanctuary of relaxation and rejuvenation. You'll find a wide range of relaxing spa treatments, including the Elemis Aroma Stone Therapy and the popular Bamboo Massage. Afterward, you may want to relax in the ceramic-tiled Thermal Suite, an exclusive spa area furnished with heated lounge chairs. You'll also find a sauna and steamroom and an attractive outdoor relaxation area that offers bar service, so go ahead and order up that complimentary bottle of champagne before or after taking a soak in the expansive whirlpool. For those who want to keep up their fitness routines while at sea, the spa also features an exercise facility with state-of-the-art training equipment. Your spa experience doesn't have to end at the spa, by the way. Silver Spirit serves up a spa menu, not only delicious but healthy, and a great way to start the day with breakfast at the Pool Grill. Silversea Cruises' new Silver Spirit features six restaurants, including Seishin, an Asian fusion restaurant, where the signature item will be Kobe beef, served with sushi, sashimi, exotic sakes (the rice wine), and more. Join Avid Cruiser Ralph Grizzle in Ancona, Italy, for Silver Spirit's sea trials and a walk-through of Silversea's newest ship with Christian Sauleau, executive vice president, fleet operations; Rudi Scholdis, Silversea's culinary director; and Silver Spirit's two captains. Taking its name from the Japanese word for "spirit," Silver Spirit's Seishin restaurant features a large, round chef's table as its centerpiece. Guests can watch the chef at work sculpting fresh sushi and sashimi. The varied menu ranges from bento lunches and a la carte specialties of seafood salad, lobster and Kobe beef to a nine-course degustation dinner.